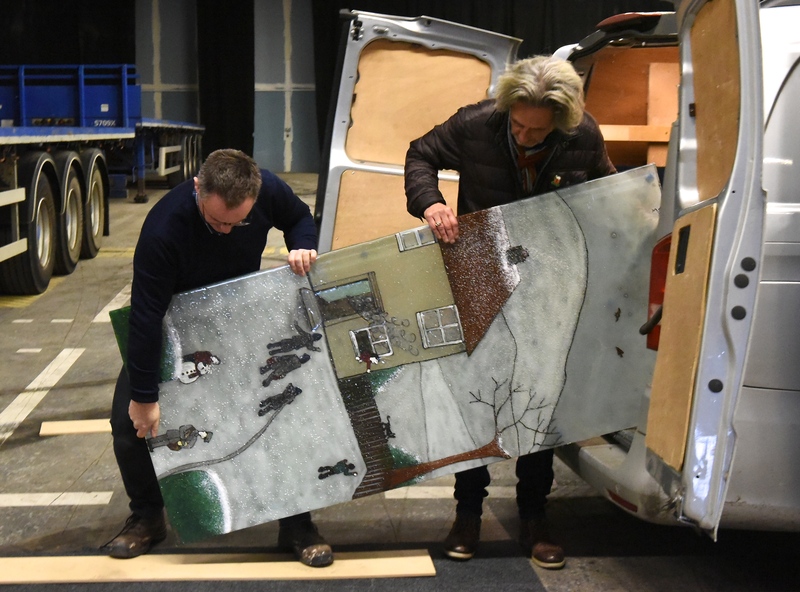 Lisa was honoured and totally delighted when she was asked to create six unique glass art panels for Paul Lee and Swansea Council, lending her unique and very distinctive artistic flair to a project unlike any other we’ve taken on before – a float for a Christmas procession! 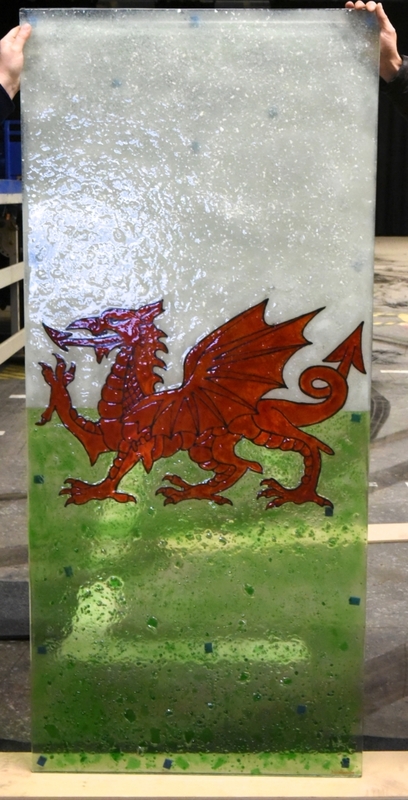 If you can’t tell from just looking at the glass, the panels were designed to be symbolic of Wales, representing all of the many things that make it such a great place. What’s more, the glass needed to be a little bit festive and very colourful to really make an impact and suit the wonderful atmosphere at the procession. Lisa tapped into all of her fond childhood memories of Wales when looking for inspiration to draw from, with many days spent there on holiday and as part of school trips. You can see the gorgeous scenery captured in one of the three incredible designs featured below, along with a druidic tree and the always recognisable Welsh Dragon. Culture, history and timeless iconography come together in six panels, the end result of which you can see pictured up top! We adore the way that the panels have been lit and stand out against the dark of the night. If the stunning designs in this blog caught your eye, then you’ll absolutely love the incredible variety of fused glass art pieces in our portfolio. Don’t hesitate to have a look through, as you’re sure to find something to feast your eyes on. You may even get inspired to get your very own piece, in which case you’ll surely know where to find us!